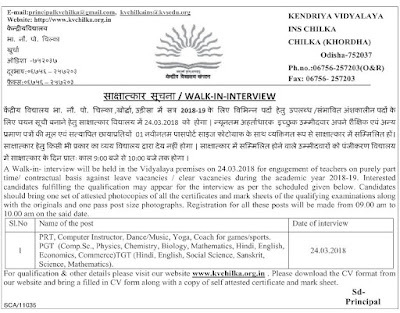 KV Chilika Odisha Recruitment 2018 For PGT, TGT & PRT Teacher Post. 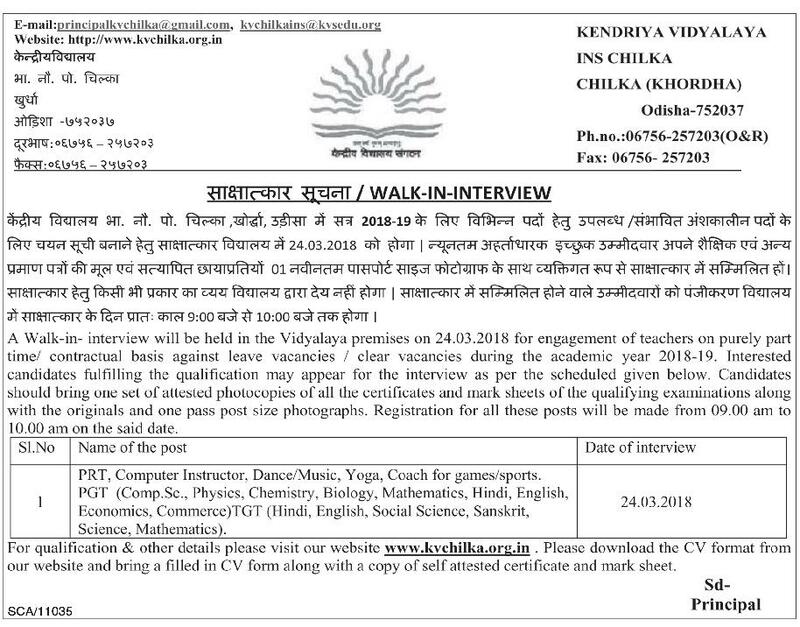 Kendriya Vidyalaya Chilika Recruitment 2018 For PGT, TGT & PRT Teacher Post. Educational Qualification- Candidates Must Have Graduation, Master, B.Ed, CT From Recognized University/Board.